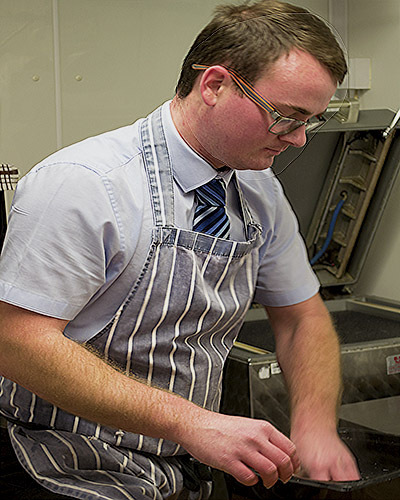 Take a look below to see what makes A Leeder Butchers tick! We are members of the Quality Standard Mark for beef and lamb. The Quality Standard Mark is a scheme that provides you with high levels of assurance about the meat you buy. It is the only scheme in the UK to cover eating quality. All beef and lamb carrying the Mark is chosen according to a strict selection process to ensure it is succulent and tender. Quality Standard beef and lamb is produced to higher standards than required by law with a supply chain which is fully assured and independently inspected at every stage from farm to meat counter. My first experience of working in a butchery was during my work experience at the age of 15 when I worked at what was then G Rice Butchers in Boxford. That was when I knew I not only wanted to be a butcher, but wanted to run my own butchery. After completing my GCSEs I went to MEAT College in Ipswich and started an apprenticeship at the Hadleigh Co-op Butchery department. Once I had completed my apprenticeship I stayed at the Co-op until 2000. 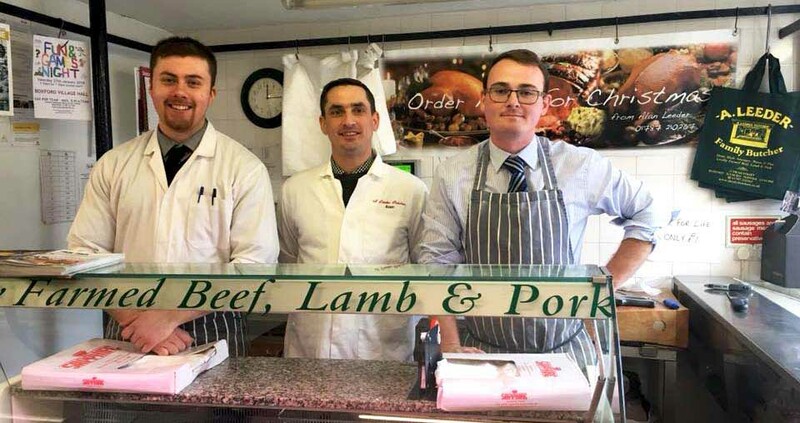 I bought the Boxford butchers in 2007 and A Leeders was born! I first started working with Alan in 2010 as the Saturday boy and progressed to complete my full butchery apprenticeship. Having lived in Boxford all my life, it presents me with the best opportunity to engage with the locals as well as provide a quality service. 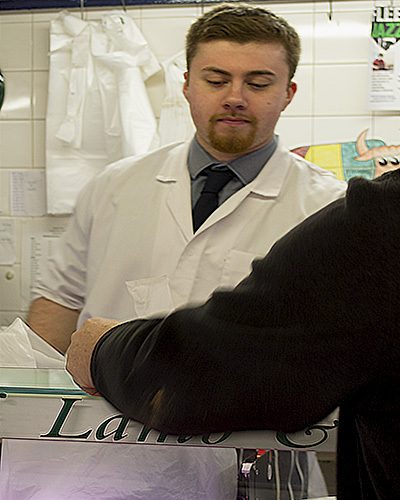 I first started working in a butchery in December 2014 as a Sales Assistant at Morrisons. After learning from my manager, I progressed to a butcher and eventually became the manager at the start of February 2016. I took an interest in butchery and wanted to learn the various preparations of beef, lamb and pork from the whole body. I joined Alan in October 2016 and I am enjoying working in the shop. 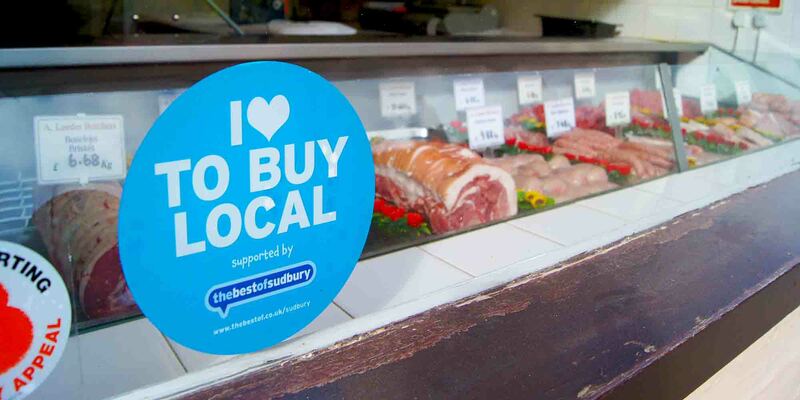 We are also members of the 'I love to buy local' scheme supported by The Best of Sudbury.